The Vogel’s RingO Mounting system is a multi-purpose clamshell tablet case compatible with a multitude of tablets. It offers various possibilities for mounting to different surfaces. 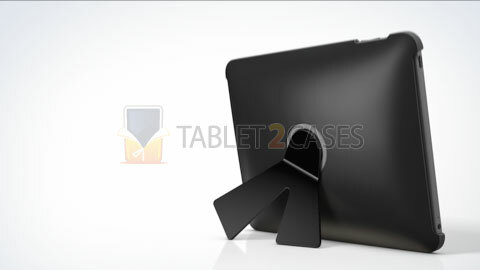 The tablet hard case guards the pad from unnecessary shocks and bumps, and features a round hole in the middle to facilitate mounting. 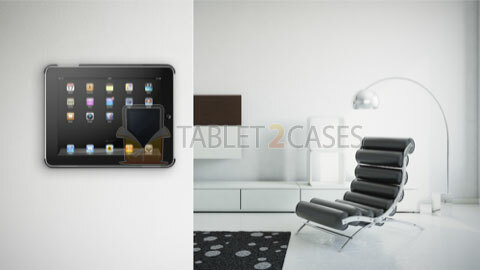 The case can be used for wall mount , car headrest and as tablet stand case . The one-of-a-kind mounting system utilizes rings to attach to the case’s round hole. The tabletop stand offers several viewing angles. The tablet can be attached to almost any wall via either a discrete button or a flexible arm, which can be extended to provide perfect positioning. The car mount offers a safe way to interact with a tablet in a car. 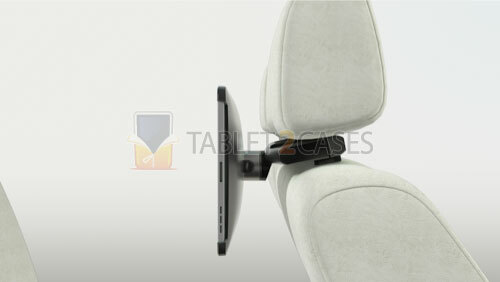 The mount can be securely fixed to the headrest and the tablet can then be clicked into place via special holder. 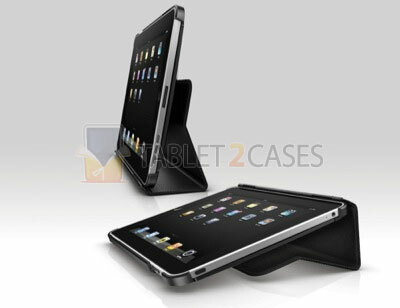 The mounting system is compatible with Apple iPad , iPad 2 , Samsung Galaxy Tab P1000 and Galaxy Tab 10.1 .